Thank you to the owners for accommodating on such short notice. This was an amazingly restored cabin in an incredible location! It was one of the nicest places I have ever stayed! It made for an incredibly relaxing weekend, and I highly recommend it!! My husband and I came here to just get away from the real life for the weekend and for a late getaway for our 10 year anniversary that was on May 10th. The pictures online doesn’t compare to actually experiencing it in person. He view was breathtaking from the porch and we loved the sound of the water flowing below was peaceful and relaxing. Inside of the cabin was well decorated and very cozy. We loved the king size bed...so much room. We wanted a nice and quiet little getaway and that’s exactly what we got. Even though we only stayed here for the weekend we plan on coming back in the future to stay at lot longer so we can experience everything Albertville has to offer. Thank you for such an amazing weekend here at Eagles Nest at High Falls. We had a wonderful weekend at this cabin. It is very relaxing without the internet, TV and minimal cell phone coverage. It was just my husband and myself, so we had plenty of room. We enjoyed having a bonfire each night listening to the whippoorwill. I would recommend this place for a way to disconnect from the outside world. What a wonderful place to celebrate anniversary with my wife. We definitely plan on going back again someday! Very peaceful, soothing and exquisite! We visited the cabin for our anniversary trip. The view is beautiful and the location is so peaceful. The house was beautifully restored and extremely comfortable. There were even bathrobes available to use! It was a lot quieter than we are used to since their wasn't Internet reception to play music on our phone and there are only about 10 TV channels available (Make sure to have some movies for the evening time). The porch was perfect for relaxing and had a table where we could play board games. 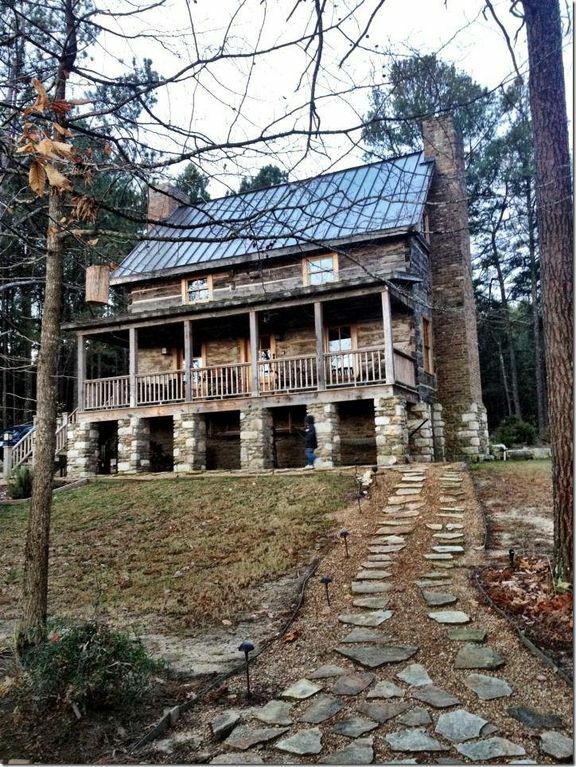 We would definitely come back to enjoy this cabin again! Thank you Karen for sharing your home! There is a 6% state lodging tax and an $100 cleaning fee added to every rental.